Want to feel as if you’ve stepped centuries back in time, to a world in which things like churning butter and living by candlelight were still the norm? 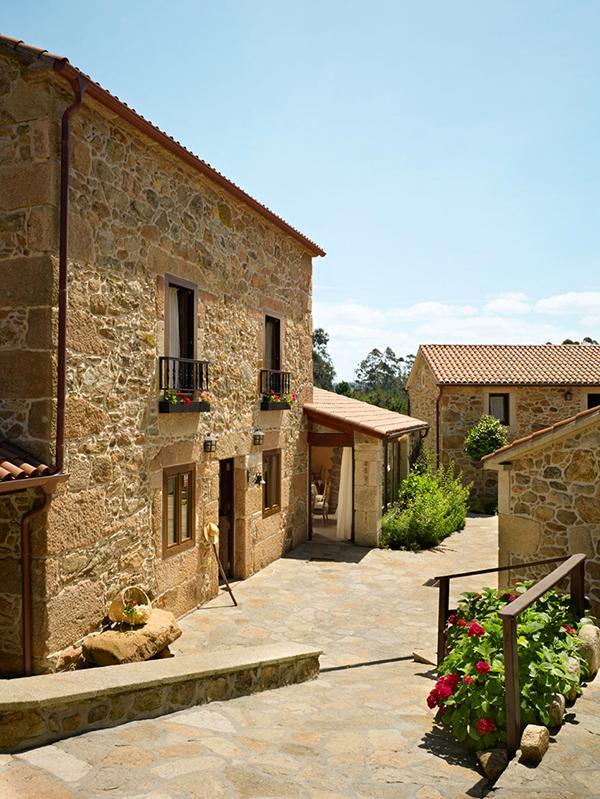 Then look no further than this charming Spanish home-turned-hotel, situated in the region of Galicia, in a teeny-tiny village called Costa Da Morte. 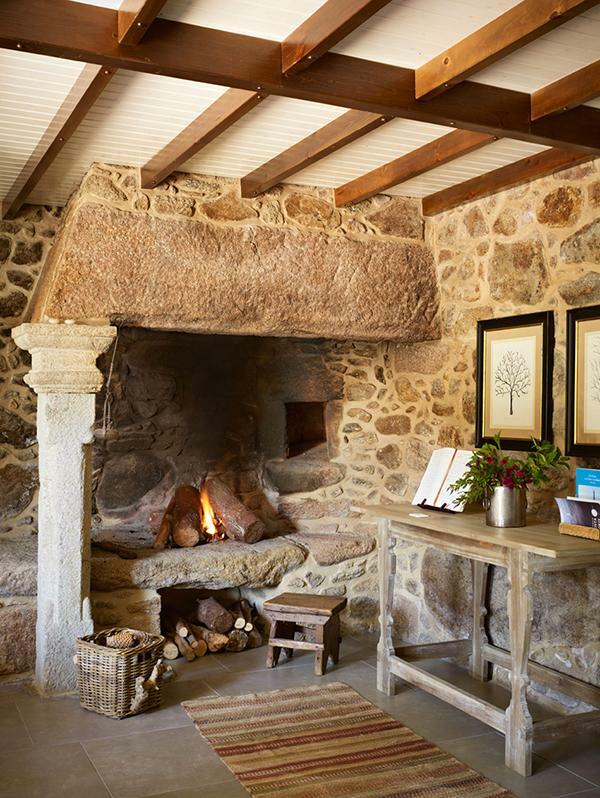 Operated by owners Alberto Cuervo and Julia Flores, hotel Rústico Lugar Do Cotariño is simply divine in its cozy simplicity. 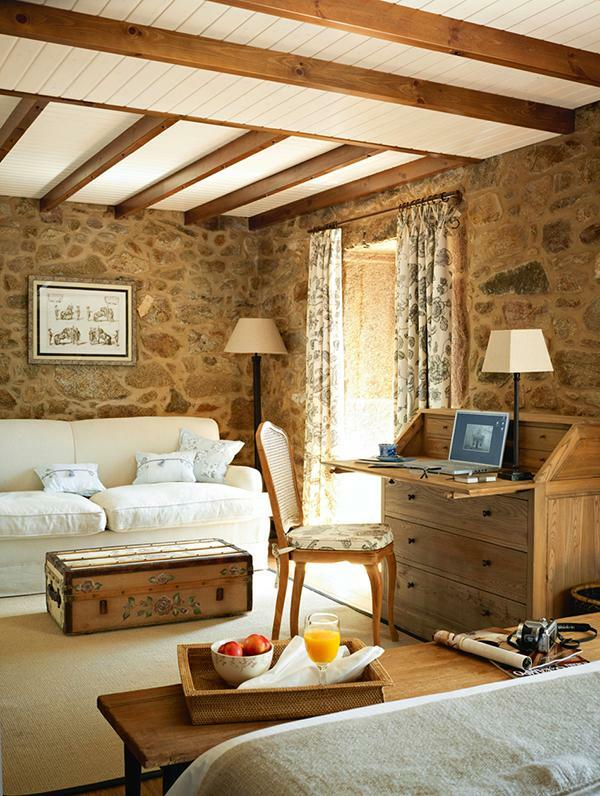 One could imagine spending countless dreamy, quiet hours in this country hotel – it’s truly the epitome of blissful, traditional interior design. 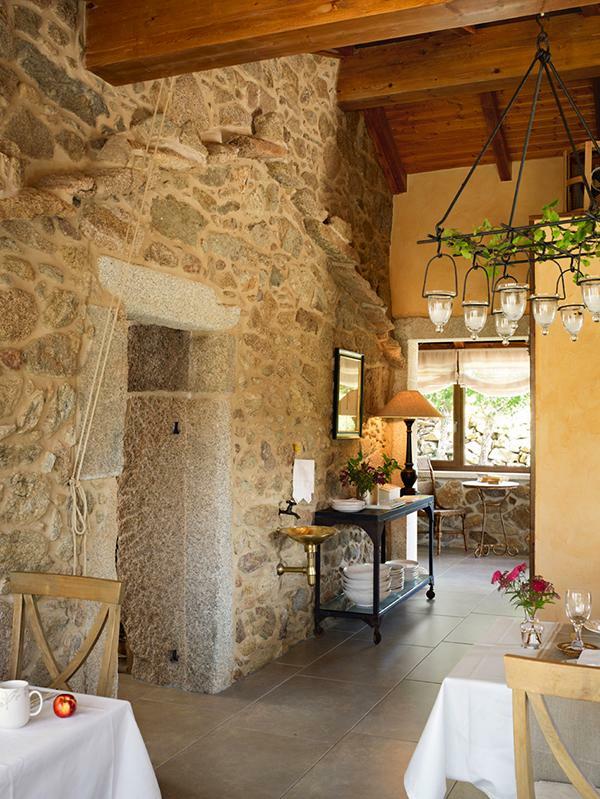 The walls are stone – big, thick slabs of stone that recall a much simpler time. 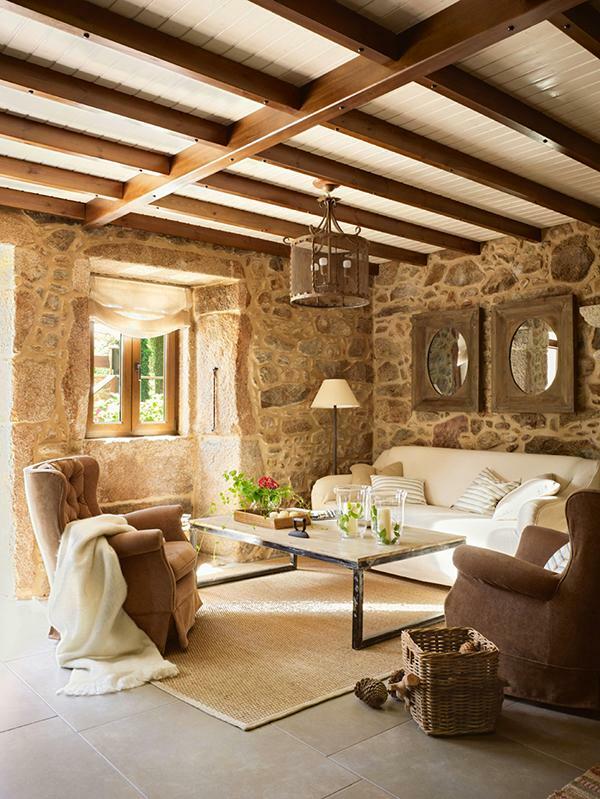 The living area is outfitted with a gorgeous stone fireplace, and the tables are all wooden and lovely. Fresh flowers and fruit adorn many of the surfaces, and an inspired old vintage trunk sits at the foot of a searing white couch. This living room décor is so simple, yet so elegant, that it is truly like seeing another world. 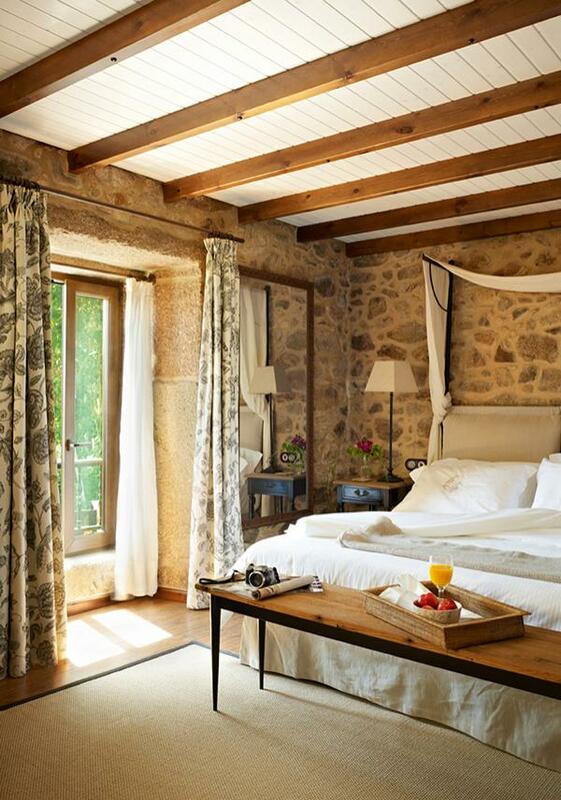 The bedrooms are layered with fine, crisp white linens and flowered curtains – the aesthetic is old without being old-fashioned, homey without being too cutesy. 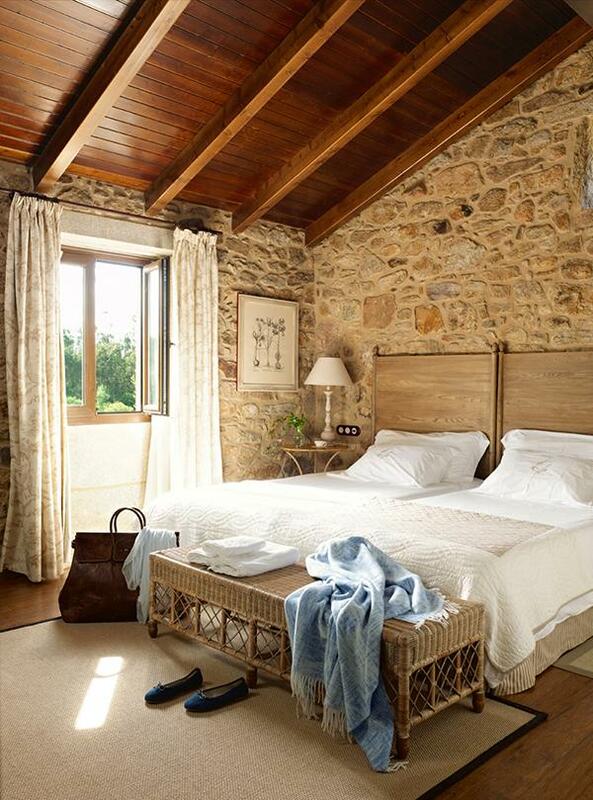 A long wicker table flanks the end of one of the beds, while a sole framed sketch of flowers hangs on the wall – completing the simple, elegant look. In the enclosed outdoor dining area, charming little lanterns hang from the ceiling, overlooking the loveliest of wicker furniture, snow-white tablecloths, and heavy wooden tables. Light silently streams in through the open windows, and one can catch a glimpse of the greenery and cobblestone streets that abound below. There is simply no shortage of charm in this antique, pure, stylish space. 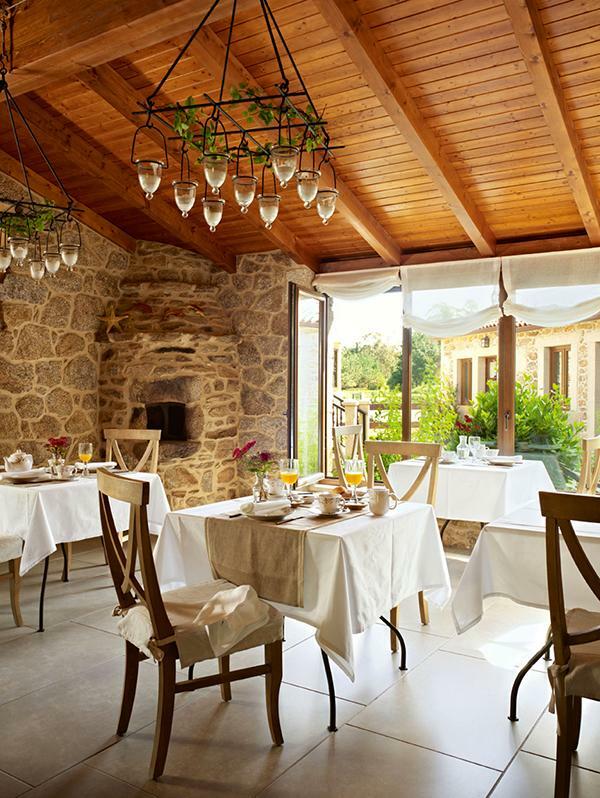 To garner a truly Old-World experience, a visit to this quaint little country hotel is a must.